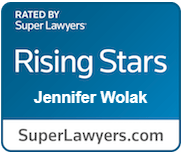 Jennifer Wolak serves as coverage and monitoring counsel for numerous London-based and U.S. insurance carriers. 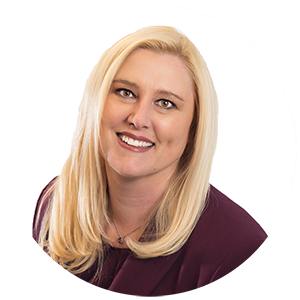 Her practice focuses primarily on professional liability claims against large U.S. law firms and attorneys, insurance brokers, third party administrators, architects and engineers, long term care facilities and other professionals. Jennifer has represented and advised clients with respect to a wide range of insurance policies, including professional liability policies for lawyers, accountants, architects, engineers, directors and officers, and long-term care professionals.She has also worked on media and technology policies, cyber risk/data privacy policies,commercial liability policies, and employment practices policies. Additionally, Jennifer has extensive experience representing professional liability reinsurers. Jennifer has significant direct defense and appellate litigation experience, representing clients in state and federal trial and appellate courts as well as arbitration. Jennifer has represented insurers in coverage litigation, employment related claims, and professional negligence claims. She has also litigated suits involving contractual commercial disputes, business torts, restrictive covenants, trade secrets, unfair competition, violations of state and federal securities laws, and construction defects. Jennifer’s clients have included professional liability insurance carriers, Fortune 500 companies, financial advisors, broker-dealers, insurance brokers, commercial landlords, and domestic health, life, and liability insurance carriers. Prior to joining Fields Howell, Jennifer completed a clerkship with the Eleventh Circuit Court of Appeals Staff Attorneys’ Office. Jennifer received her Juris Doctor from Syracuse University College of Law in 2000. Representing Lloyd’s Market and domestic liability insurance carriers in complex legal malpractice litigation against large U.S. law firms. Representing insurance brokers in professional liability action. Representing national broker-dealer and bank in an arbitration in an action for tortious interference with contract and aiding and abetting the breach of non-solicitation agreement. Representing insurers in cyber and privacy related coverage matters. Representing national health insurance company in an action against broker and former customer for negligent misrepresentation in connection with application and procurement of a health insurance policy. Representing Georgia based Fortune 500 Company in action for breach of contract and misrepresentation. Representing homeowner in breach of contract and negligent construction claim against builder and developer of residence.